You don’t have to be near major water sources to experience flood damage. Besides damage caused by ground water, you can also experience flood damage from falling water, appliance malfunctions or busted pipes. 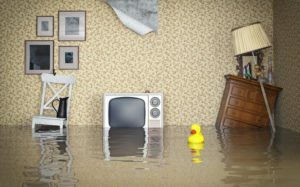 Flood problems can range from frustrating to life altering for homeowners. If you are dealing with flood damage, you’re understandably upset about your circumstances. Don’t let that paralyze you, though. 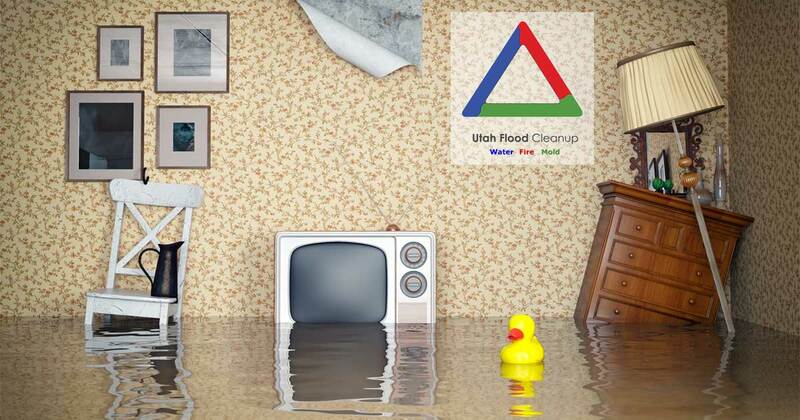 Utah Flood Cleanup can assist you with this process, taking an unnecessary burden off you and your family. Here are also some things that you’ll need to do right after the flood to ensure that things get back to normal again soon. The very first step that you can take after a flood is to ensure the safety of you and your family. Carefully assess your situation to avoid potential electrocution or entering a home that could collapse due to structural weakness. If you can do so safely, turn all power off as this will not only protect you from electrical shock but from the potential of a house fire. Check for obvious structural damage which could include holes, areas that looked warped or foundation elements that have cracked or loosened. Additionally, be sure to inspect your gas, electric, water and sewer lines. If you notice anything unusual, contact your utility company to get their opinion. The first steps that you took were mainly for bodily protection. Now that you’re safe, your next priority is financial safety or security. You’ll need to document all damage to your home exactly how it looked after the flooding occurred. It’s human nature to want to reach in there and fix everything that you can right away. Resist this urge because it could cost you financially if you do. 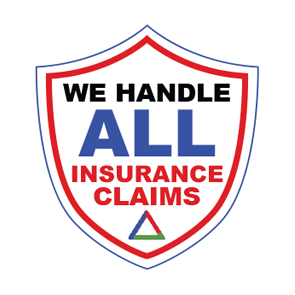 Document all damage as it was at its worst so that the level of insurance coverage you receive will be at its best. If you drain water or take out damaged possessions before recording, you could risk losing the money you could have received for restorative measures. Digital documents are best since they can easily be duplicated, stored and sent; take pictures with a digital camera and include video footage if possible. You want to leave no doubt in the minds of your insurers as to exactly what happened and the level of severity at which it occurred. Depending on the nature of the flooding that you experience, household cleaners or sewage could end up in your water. Water contamination is a common concern when flooding occurs. Here are a few steps you can take to protect your health. Wear gloves and waders to protect against contaminants. Boil your water until you’re told that it is safe to drink. Discard any food items touched by flood waters. Contact your insurance agent as soon as possible in the event of flood damage. Standard homeowners’ policies generally do not cover groundwater flood damage. This is something you can discuss with your agent as well as any plans you may have to repair items in your home. It doesn’t hurt to document any interaction that you have with your agent. If the area you live in is declared a disaster area, you may be able to get financial assistance even if you aren’t insured. You can contact FEMA to find out more if you suspect that this is true of your situation. Carefully remove all water from your home by use of a shop vacuum or sump pump. If you don’t remove water quickly, you could end up with a major mold problem. You can make small holes in your drywall to release water at ground level. Mold can begin as early as a day after your initial flooding takes place, especially in hot weather. You’ll also want to remove anything that is water logged, clean it, dry it or throw it away. One major caution is never to mix ammonia and bleach once you start cleaning as this creates a highly toxic solution. Try using a pine oil cleaner with a small amount of bleach to help disinfect surfaces. 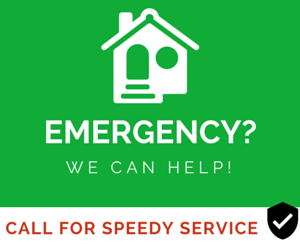 Have you experienced flood damage and need help with home restoration? 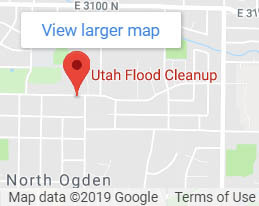 Utah Flood Cleanup will be happy to assist you. We can meet whatever challenges you are facing such as restoring structural integrity to your home, electrical rewiring, mold elimination and more. You will receive many benefits from us including a free consultation, a five-year guarantee, financing and the ability to contact us 24/7. We can also assist you in the event of a fire. If you have any questions about how we can serve you, don’t hesitate to contact us here, or call 801-416-2666.